The Beard Charitable Foundation has been founded by the Beard family to support Beard family and Beard employees in their charitable and community pursuits, providing funding to add to that raised by individuals or teams. A Foundation Board has been formed which will meet formally three times a year; the Board will agree the overall direction of The Foundation, consider grant applications and communicate its work to the wider Company. The Board will include a representative from Oxfordshire Community Foundation (OCF), two members of the Beard family and up to three Beard staff drawn from across the business. 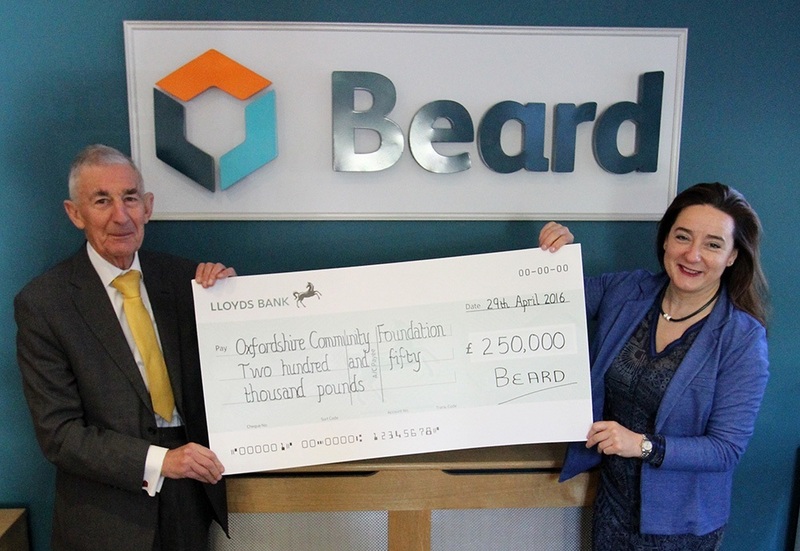 Dependent on investment returns or the receipt of new funds, the Beard Charitable Foundation plans to make grants of £20,000 each year. Funding will be provided for charitable causes where the individual/team has shown a keen personal interest in the charity/community project, this funding will range from a minimum of £500 to a maximum of £5,000. Where annual applications for grants significantly exceed funds available, applications will be scaled back and/or prioritised. Our hope is that the foundation will occasionally be able to make larger donations. We are particularly interested in charities/community projects within our trading area and/or charities which are associated with construction industry education. We are currently working with a number of schools and colleges to promote construction as a career, often giving prizes at the end of the student’s activity. We are very keen to turn the most successful of these initiatives into longer term partnerships.